IDV, Inc has announced that its Award-winning standalone tree, plant and foliage modelling suite of tools Speedtree 8.2 is available now for SpeedTree Cinema and SpeedTree Games full licenses. 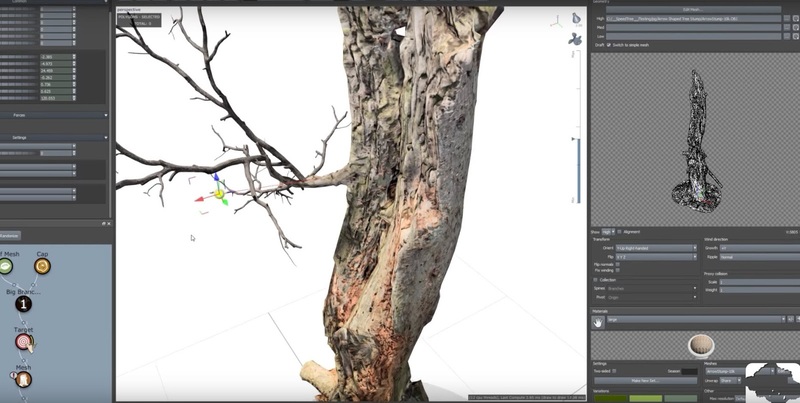 This version allows artists to create multiple variations of a tree using a single mesh, or blend multiple photogrammetry meshes together, and then deform or add wind to the branch levels. - Full PBR workflow and rendering. 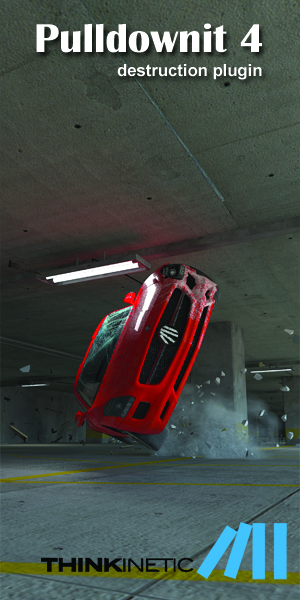 Supports non-destructive material editing, allowing artists to adjust textures on the fly. - A growing library of tree models. ranging from seedlings to towering forest models includes thousands of 3D surface-scanned PBR textures. Each individual model file (.spm) contains multiple polygonal resolutions and adjustable seasonal variations. - Vastly improved export pipeline. Exports now run much faster and use far less memory. Other improvements include UDIM support, hierarchical exporting, and better bone unwrapping, weighting, and material binding. - New leaf batching system. Leaf rendering in the SpeedTree Modeler is up to 1,000 times faster than version 7. This innovation greatly speeds the modeling process and supports the creation of more complex models. - Major leaps in wind realism. Cinema 8 captures the complex dynamics of wind among leaves and branches. The overhauled system features a realistic rolling wind effect, is much easier to tune, and includes a new wind wizard. - Mesh cutout system. create leaf meshes with anchor point for three resolutions in one go. The new annual license will cost $999 per year with a revenue cap of $1 million (new annual Speedtree for Games indie rental license that will include the photogrammetry features plus FBX and OBJ export). 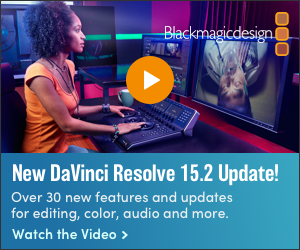 Monthly indie rental licenses for those with Revenue under $100,000 cost $19 a month but do not include photogrammetry tools or FBX/OBJ export. Speedtree 8.2 is available now for SpeedTree Cinema and SpeedTree Games full licensees. You can find more plan or get trial here! More details about The SpeedTree Engine for Clarisse and price can be found here!